Summer meeting time (April thru October): Mahoning Valley Corvettes meet the third Thursday of each month at 6:30 pm. Unless otherwise specified the meetings are held at Greenwood Chevrolet in Austintown at the Hummer Building. Please bring your own chair. Winter meeting time (November thru March): 3rd Sunday of each month at 12:30 pm. 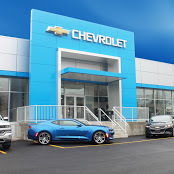 The meeting is held at Greenwood Chevrolet in Austintown at the Hummer Building. Please bring your own chair. See Events page for specific dates.